Fun-to-decorate high-top sneaker key rings! Little artists add their personal designs. 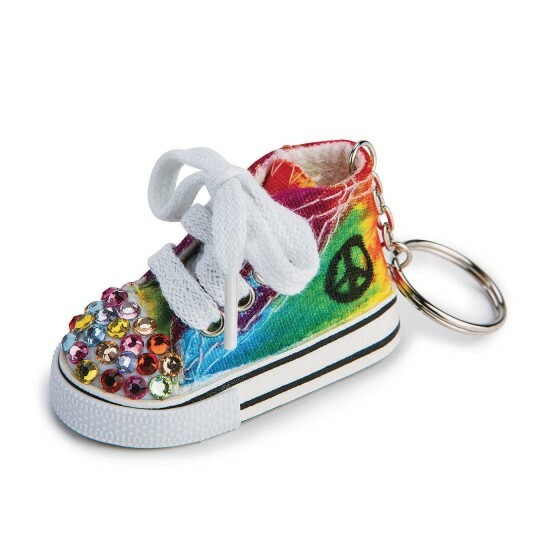 Each measures 3"L x 1-1/2" W.
Kids put their own spin on stylish key rings! 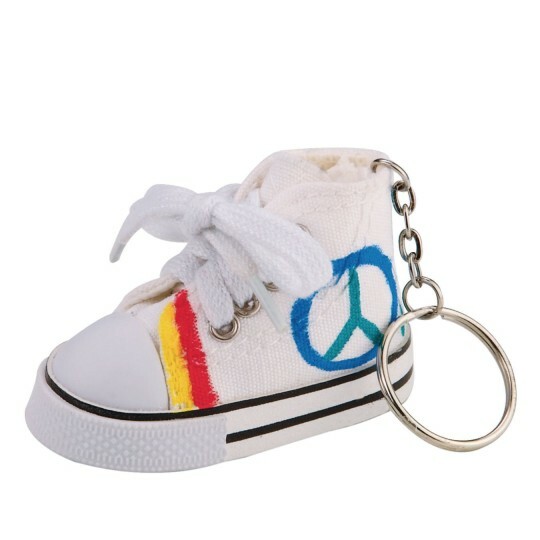 White canvas sneakers measure 3"L x 1-1/2"W.
These are great for creativity. You can tie dye or paint them to fit the occasion. I tye dyed them for my Seniors who were graduating from high school. They LOVED them. Favorite craft at our VBS!! 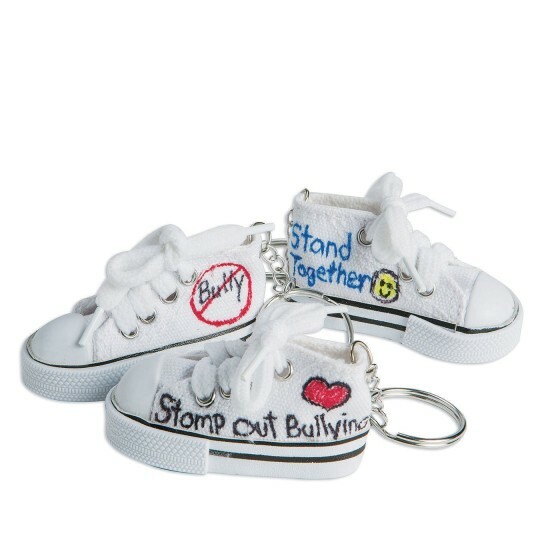 Bought these for a craft for my elementary grade Book Club. Great price and the kids LOVED them. 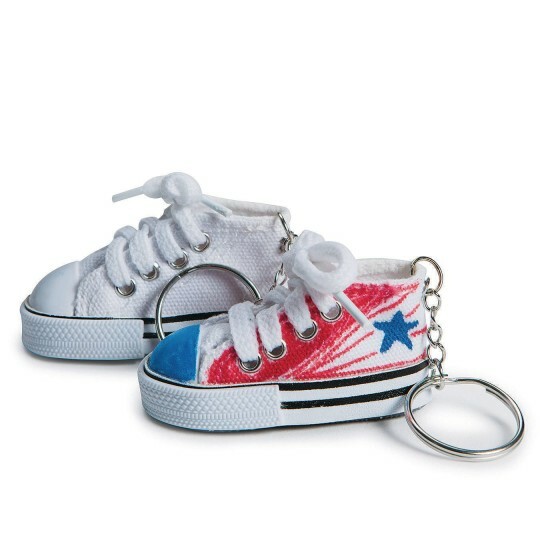 Sneaker Key Rings are Great! These were fun to work on and brought out a lot of arttistc ideas! Great product - is as described. We bought these for a craft project for Vacation Bible school. They look great even better than I expected them to be. Will use ultra fine point sharpie pens to color and decorate these. Received the order very quickly.